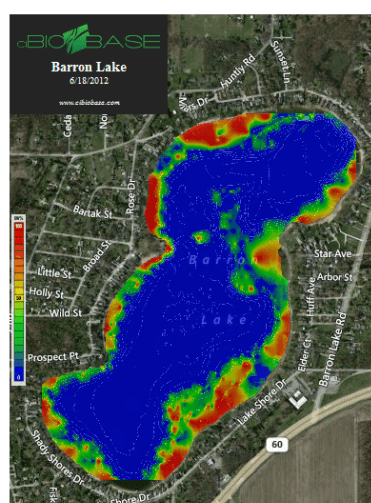 Aquatic Weed Control can develop a detailed depth map of your pond or lake using sonar coupled with advanced GPS tracking software. We have partnered with Contour Innovations LLC to provide extremely accurate and up to date maps with labeled depth contours as small as 1 foot! We can also provide vegetation density mapping, volume calculations, and other parameters using this same process. Want to know how deep your pond or lake really is? Give us a call at 574-533-2597, and we’ll help you find out! Cut the price in about half. Split the cost with your next door neighbors. If you have weeds, they probably do too.